Looking for a starter RV or even an upgrade? 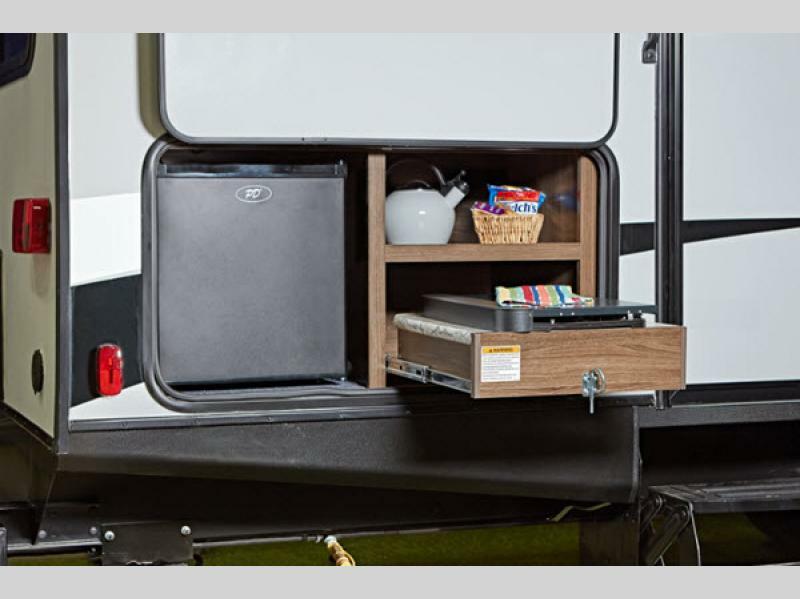 Read our Keystone Bullet review and check out what these amazing travel trailers have to offer! 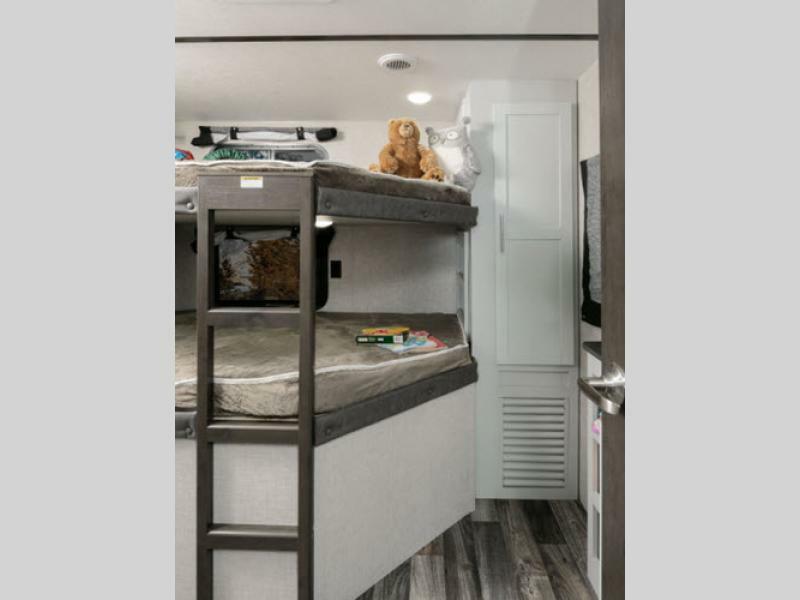 You’ll love that our Keystone Bullet and Keystone Bullet Crossfire RVs for sale sleep up to nine people comfortably, and are ideal for your perfect weekend getaway. Check them out! Take a look first at our Keystone Bullet travel trailer for sale. If you’ve got a large family or like to travel with friends, this is the perfect RV for you. 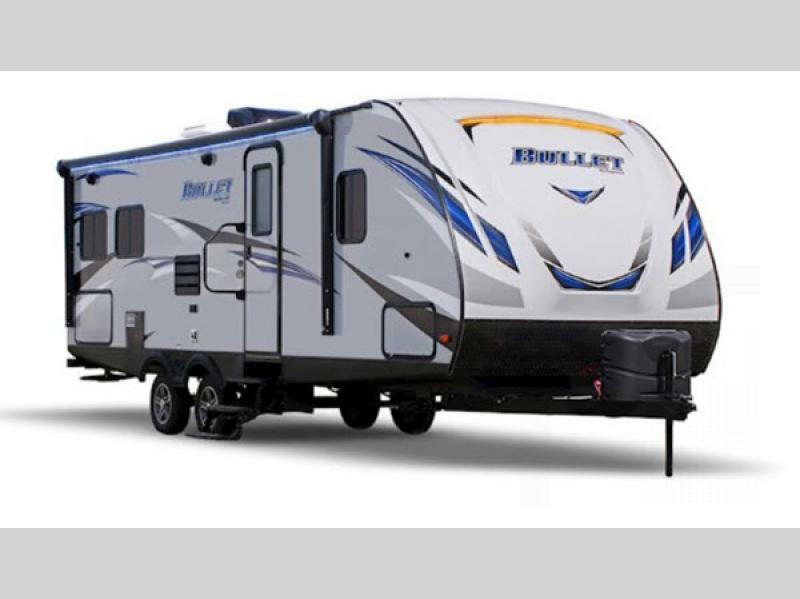 Our Keystone Bullet 290BHS for sale sleeps up to nine people. 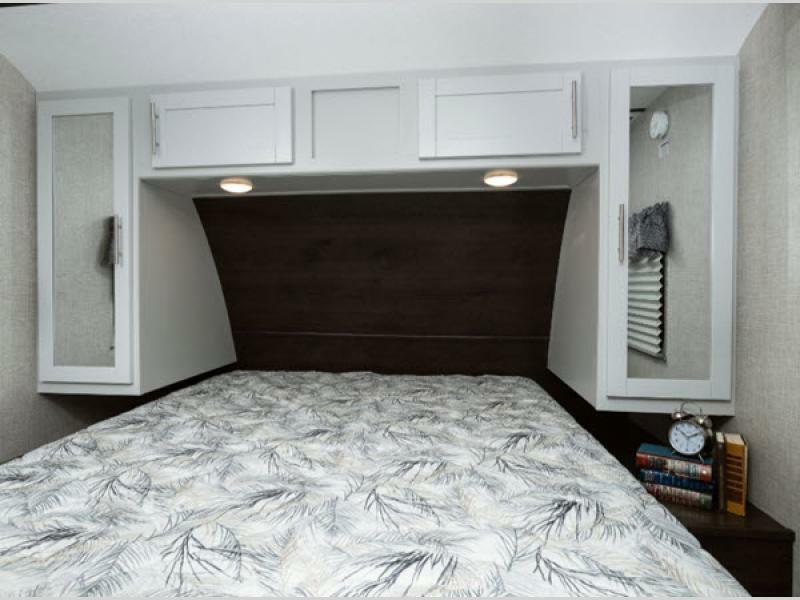 You’ll find a private bedroom with an upgraded foam mattress at one end of the trailer and a double bunk at the rear. Make use of the convertible dinette and sleeper sofa for extra guests at the end of the day! Or, trade out the sofa for optional luxury cinema recliners and enjoy the 32” LED HD TV in full relaxation. 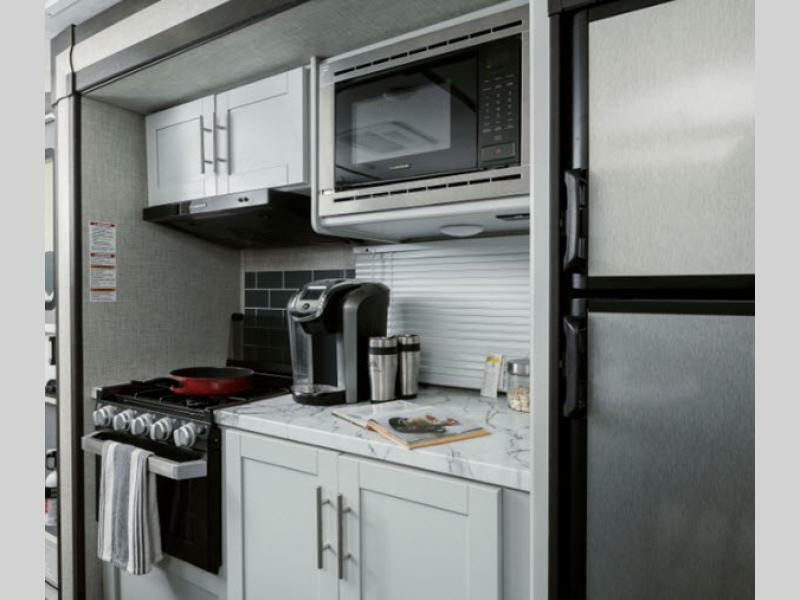 The Bullet 290BHS also includes a full bath and a full kitchen, and if you want to enjoy your meals outside on beautiful days, you can take advantage of the outdoor kitchen. What’s not to love? The Keystone Bullet Crossfire 1900 RD for sale is only one of several Crossfire models in our inventory. Not everybody travels with eight or nine people, so an RV that sleeps fewer might be perfect for you! You’ll find a full kitchen with spacious pantry and 6 cu. ft. refrigerator within easy reach so that you can enjoy your favorite snack while at the rear U-shaped dinette. You’ll have plenty of room for meals or enjoying a board game in the evening, and it doubles as extra sleeping space. 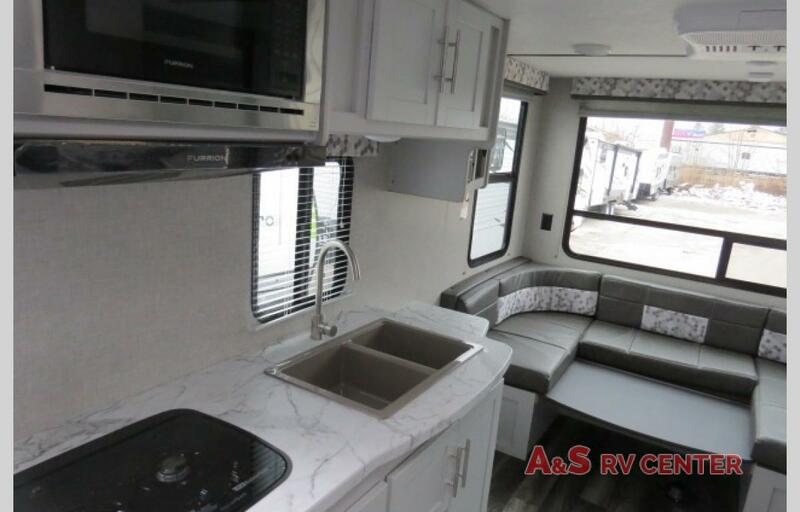 Our Keystone Bullet RVs for sale and Keystone Bullet Crossfire RVs for sale come in several floor plans, and we’re sure there’s a perfect one with your name on it. 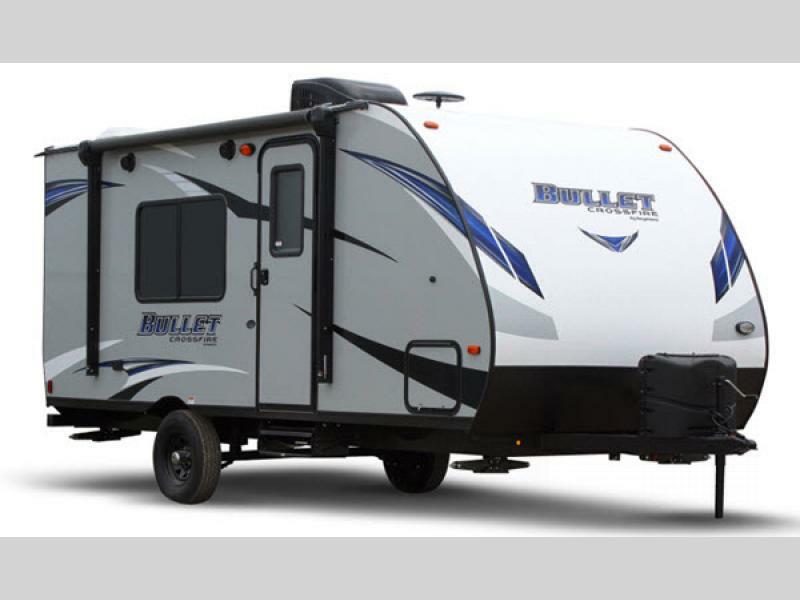 Explore our inventory here, and give us a call if we can help you pick out the perfect Keystone Bullet RV for you!